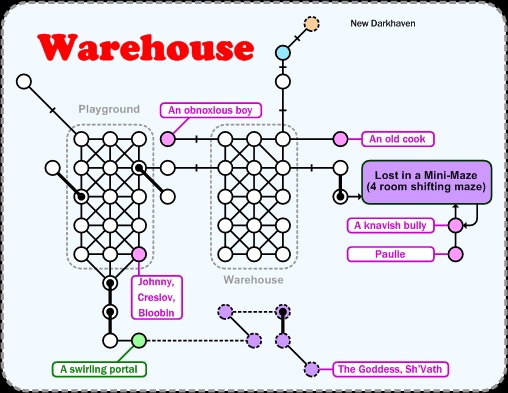 The Warehouse, a nice lowbie leveling area with some decent equipment too. Has a nice little maze for learning how to navigate them. Some of the mobs in this area steal gold, so watch out. Walk ( 4w, 2n, sw ) to get from DH to the room marked in blue.